Where I first heard this line is forgotten, but it has invariably proven to be true when someone I meet shares their phone number. Your area code probably indicates where you lived in 2008. I’m plenty old to remember the fixed geolocation of an area code (well you would look it up on a map in this device called a “phonebook”) and needing to have a long distance calling plan from Ma Bell. That all has pretty much gone out the window with the pervasiveness of mobile phones, and numbers we take with us wherever we move. My number since 2007 was one based in Austin Texas. I never lived there, but the organization I was working for (remotely from Arizona) had their offices there. They provided me with an iPhone 3 and cell phone service (before that I think it was an AT&T Star Tac flip phone than a brick one). With my old phone mindset, it seemed reasonable to have a “local” work number. 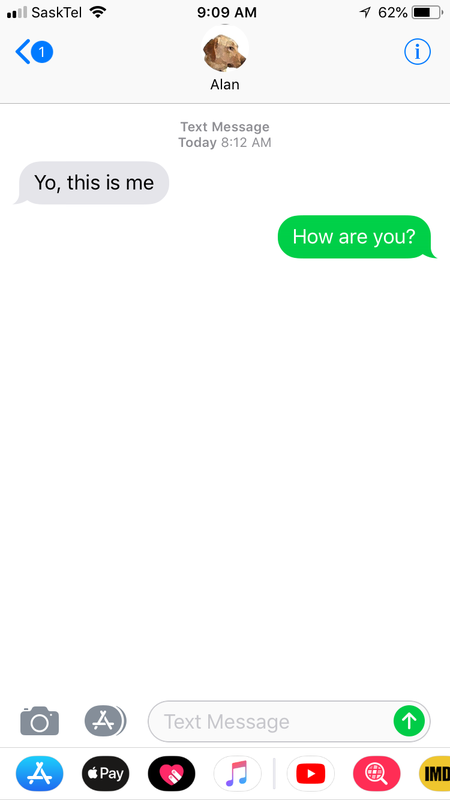 Even after 10 years, I got random phone calls, text messages for a guy named “Jay” who had the number before me. He must have led quite the life as the numbers were from bail bondsmen, parole offices, bill collectors, lawyers, plus lots of text invite to Austin parties. Since 2012 I have ranted, documents, growled about robo spam- automated recorded calls sent from spurious numbers to mine with pitches for credit card offers, health insurance, etc all aiming to have you call them back so that can rope you into some fraudulent effort to give them your credit card number. Pretty much it’s an unfettered network for scammers to use to defraud and annoy us. I once wrote my US Congressional Representative Paul Gosar asking for help. Got a form letter saying more or less “nothing we can do”. What did help in the last year was the Mr Number app that flagged a lot of the bad ones. I was getting about 2 months ago sometimes 3 or 4 a day. The latest tactic is calling you from numbers with the same area code and prefix as you own, so you’v likely answer thinking it was a “local” call. For the last 2 years I stopped picking up my phone for numbers not in my address book. With my recent move to Canada, the answer was easy. Bye bye 11 year old phone number. I dumped my Verizon number like a rock. I’ve had service people here tell me they almost did not answer my call because it came from a area code where they have gotten spam. Now I have a task of letting people know, and changing numbers on accounts, places that have 2 factor authentication, etc. But like changing passwords while inconvenient, that amount of effort is better than paying Verizon to allow robo spam callers to call me. For friends I will email you the new number. FYI to folks in the US, with my new plan, I can call and text you from Canada at no charge, but chances are the reverse is not true. That’s okay, I still have a US based Google Voice number that work for voice and text, I have the app on my phone. Here I am texting to myself, between the two numbers. I need a new hobby. And now I am an exception to that rule of my number being related to where I was in 2008. But I am now free from Jay’s friends and robospam callers. 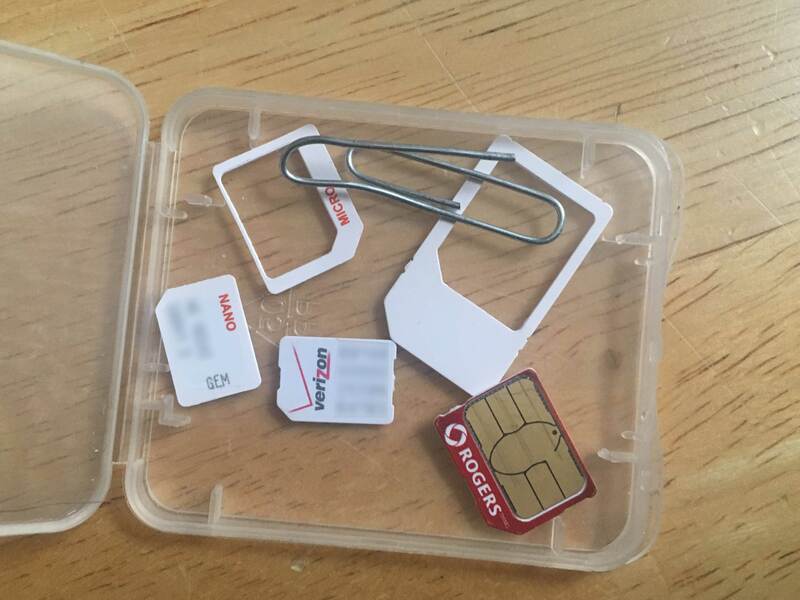 Featured Image: My collection of sim cards from travel, etc, now my Verizon one joins the collection. I feel a bit like a spy with this kit. Just a bit. Don’t know if I qualify as a friend you would share your new number with, but if so, you know where to find me…Benedict, the Married Man! Verizon has a plan for $5 a month that will let me call you. You can’t hide!